A pastor who impregnated her daughter sentenced to life behind bars – Kenyatta University TV (KUTV). All Rights Reserved. Pastor Peter Wambua was found guilty of committing the offence in Njiru area,Nairobi in 2012. Wambua, who is the former lead preacher of Jesus Light of Life Ministries, was also found guilty of another count of indecently touching his daughter without her consent. The minor told the court that her father also slept with her sister aged 10 years by claiming that the Holy Spirit was directing him to sleep with the girls to protect them from other men. According to the Principal Magistrate Eveline Olwande, the prosecution proved without doubt that the accused had committed the offence. 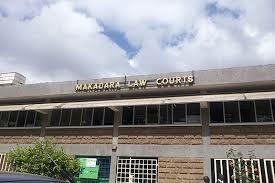 The prosecution told the Makadara court that Wambua accosted the girl and claimed that he had a revelation in a dream of her daughter sleeping with other men. To confirm this dream, Wambua reportedly asked to sleep with her to prove if indeed her young girl was sleeping around. The girl told the court that Wambua forced himself on her after she refused to be swayed by his ‘revelations.’ The court heard that the pastor forcefully undressed the minor on the first night while her mum was away. She told the court that she was left bleeding after the painful experience because she was still a virgin.Wambua’s daughter told the court that his father made it a routine and defiled her more than 20 times without protection until she got pregnant. Wambua allegedly threatened to kill the daughter if she revealed his dirty secret after discovering she was pregnant. In his defence, Wambua said the case was not properly investigated as the investigating officer did not to testify.It was reported that the girl’s pregnancy was terminated by her mother, who sought help from a medical doctor.The two are also facing charges for procuring an illegal abortion.